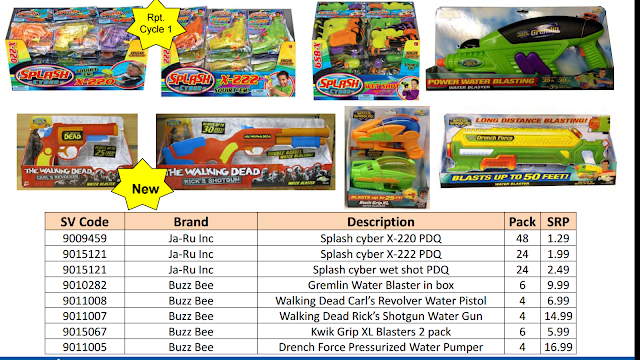 Neither Prime Time Toys nor Buzz Bee Toys had brand new Dart Zone or Water Warriors (respectively) on display at Toy Fair. The only clue to anything new was the painted mural at Buzz Bee's booth, which featured a boy wielding a Steady Stream X. Turns out Dollar General has that blaster on shelves for summer. And the back of the box has pictures! 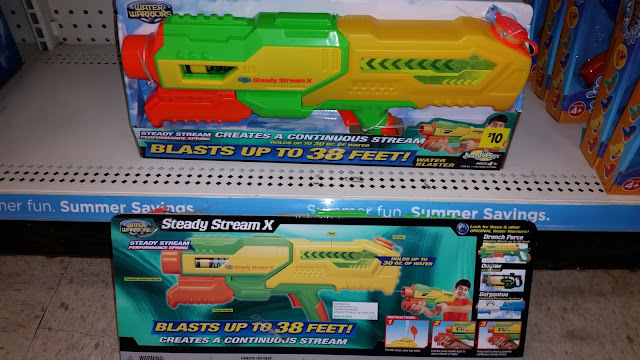 The Steady Stream X is just a reshell of a staple in BBT's arsenal. It's at least better than the standard piston-type soaker, though. 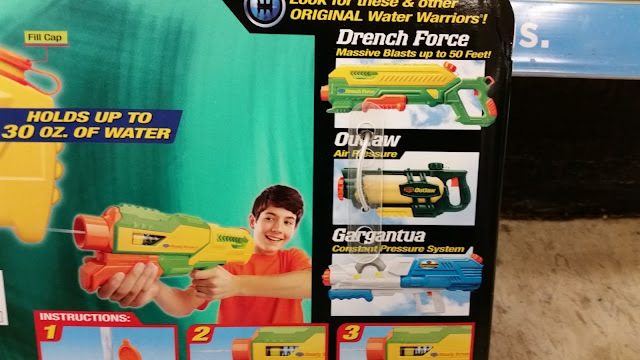 The big news, however, is info on the Drench Force! It looks like a shotgun, and sounds like it has power, with 50' range claims! In addition to the Steady Stream X, Dollar General is carrying a wider variety of PTT's lineup. 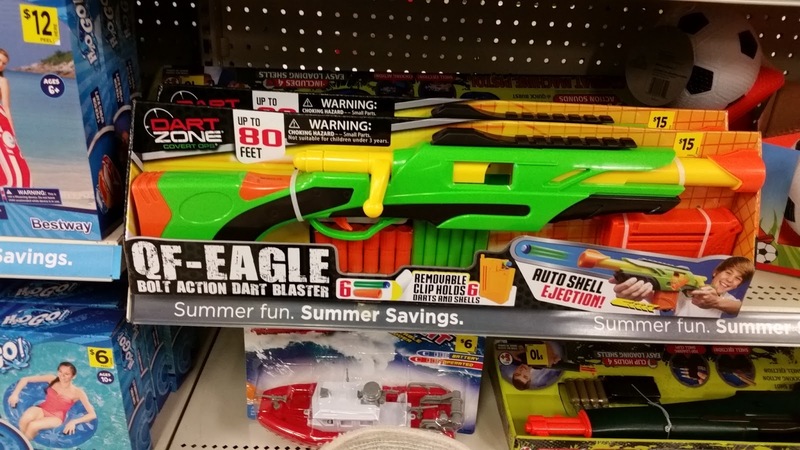 The Quickfire Eagle was previously only part of Toysrus's Air Zone/Stats Blast collection. There are also two packs of the Quickfire Triblast. EDIT: after searching for more Drench Force info, I stumbled upon a Supervalu University presentation on market strategies for Summer 2017. Included are pictures of available water toys, including the Drench Force. Another surprise? WALKING DEAD WATER WARRIORS. They appear to be simple blasters, but we shall see in the future. I think the great on this site content post is especially well. And I am understood the most of the satisfied has useful for my Carrier.Thanks for this relevant knowledge.Any comments are authorities like to share him. Interesting blog about prime toys after warrior update which attracted me more.Spend a worthful time.keep updating more. The next important labels to look for when shopping for toys would be age labels. You should always follow age guidelines, as they are an essential part of toy safety.